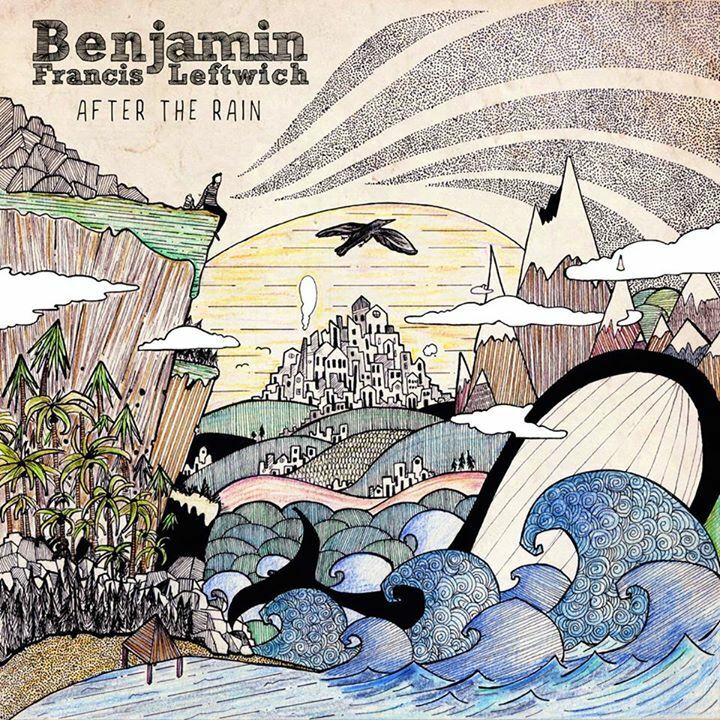 Benjamin Francis Leftwich has been flying under the radar for the past few years, but has recently returned to the spotlight with his album After the Rain. After the Rain presents some of Leftwich’s most compelling and intimate work to date. With soft melodies and guitar plucking, Leftwich has crafted a peaceful atmosphere that is both happy and sad, fragile but strong. It’s more experimental than his first record by far, with the introduction of some synth-y elements such as on the track “Some Other Arms.” Snippets of electronica also find their way onto the song “Day by Day” effortlessly showcasing Leftwich’s versatility and flexibility within his singer-songwriter niche. The album echoes with self-reflection underscored by gentle vocals that beautifully capture how it feels to make the journey from a place of grief to that of hope. It has songs like “Summer” that grip you tenderly leaving you feeling healed. Fresh from his show in Ottawa, Atwood caught up with Benjamin Francis Leftwich to chat about his present tour and the future direction of his music. 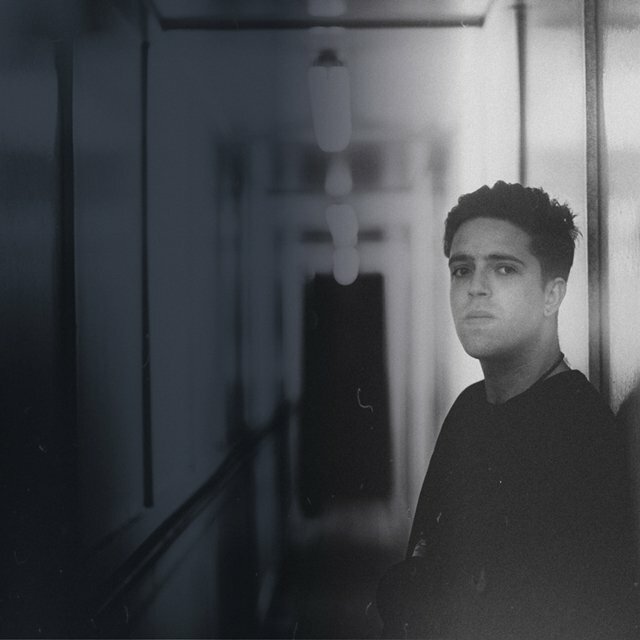 Benjamin Francis Leftwich: How’s it going? Good! It's pretty good. Actually I'm really sad that I missed your Ottawa show! Ben: Aw, it was so good. Ben: It was one of my favourite shows in ages. Chaos in there. Good! Sounds like a fun time. Ben: Yeah I really like that city a lot. Ben: I’ve been there once on my first ever tour of Canada, when I was like 20 years old, in Chinatown at a cafe somewhere. I love Chinatown! All the cafes there are great. Ben: It was so good. Nice. So how's the tour going so far? Ben: Yeah, it’s been amazing. I really love touring in this country and every time I come here I don’t want to leave. I live in London in the U.K. and if I could live anywhere else it would definitely be Canada. So I’m really pleased there have been so many random and amazing places and I’ve heard so much powerful music and you know, being by the scenery and the energy here and yeah. I’ve loved every second to be totally honest with you, I didn’t love my flight out because it was delayed for four hours but apart from that it’s been sweet. What would you say is your favourite part about travelling while you're on tour? Ben: Wow, um just waking up in a new city every day and always being on your toes and not really knowing where you are and what to do, and having to trust people you meet or Google to tell you where to go and stuff to do. And also the music in Canada is amazing, a lot of the time we have local acts opening up for us so that’s always a blessing to be able to hear other people’s music and learn from them. But yeah, you know, I love it here. So some people have compared your latest album to Bon Iver and Ben Howard, so what do you think of those comparisons? Ben: Well, I really like both of those artists, I don’t know Bon Iver but I know Ben and I love his music and he’s an amazing guy, you know, it’s a compliment to be compared to other people who are doing good things. But sonically we’re all very different and for sure I know I’m sure Ben would say the same thing, or Bon Iver would. Their records I really love, in particular that first Bon Iver record was just incredible for me and a lot of other artists, maybe even for Ben included. For our generation it was a really important record in the singer-songwriter world. So I understand the comparison and it’s a compliment obviously, but I’m just doing what I do, and none of us are out to do anything other than what is true to our spirits and relevant in the context of where our creative energies are at. You released a song, well a cover, a few weeks ago of 'Pure Morning,' so could you tell me a little bit about why you decided to cover that? Ben: Yeah, Placebo were kind of the first band I fell in love with, when I was 13 and at school I would do everything in my power to act like, and dress like, and talk like and create like Placebo do. They have so many good songs you know, and as a songwriter I’m attracted to bands that have got more than where every album they’ve done is amazing and has these crazy songs on them. So I really connect to that song lyrically and personally, and me and my friend Harry, a producer, Lazy H, were in his bedroom one day just messing around and we started vibing with it, and it sounded good so we decided to share it with people. That's so fun. Do you have any other songs in mind that you want to cover in the future? Ben: I always do, but until I turn the mic on I never have any idea of what it’s going to be you know? I’m always jamming to other peoples’ songs for sure. That's good, and your tour ends in the summer, correct? Back in the U.K.? Ben: Yeah, been going about 10 months, and I’ve got two months to go I think. Or one month. Do you have any big plans after that or are you going to take the time off? Ben: No I’m not going to take any time off. I’m going to start being creative straight away and get back in the studio and finish off a new album, and of course I’ll live a bit and be able to travel round and see people you don’t get to see when you’re in a different city every day. But apart from that, I never turn off the music, you know what I’m saying, I wouldn’t want to, even if it’s Christmas day [laughs]. That's a good work ethic to have. So do you have any ideas about what you're going to do sonically with your music in the future? Ben: Um, yeah I do for sure but they’re not solidified yet. I feel they’ll become more solidified once I start working with producers. I produce a bit myself, but I’m definitely not a producer and to be able to work with people like Charlie Andrews or like my friend Harry, really opens you up and anything can happen. My first albums, they’re different sonically, you know, so I want to differentiate again and use other colours and palettes and energies in the sonic side of things to give the songs a bed. Yeah, for sure. You have a playlist going on Spotify too, and it's really quite diverse, you have everyone on there from Bob Dylan to J. Cole, so how do you decide what kind of songs you're going to put on it? Ben: Yeah, well thanks so much for asking that, I think that playlist is amazing, it’s actually what I put on to listen to before I go on stage. Nice! I love it, it's so good. It's like everyone is here! Ben: Totally, well that’s the point, it’s a collection of legends. It’s a collection of people and artists that have done amazing songs and move people and they’re songs I really love. And there are songs in there from bands that have sold a hundred albums, and there are songs on there from bands that’ve sold a hundred million albums and that doesn’t never come into play. It’s like ‘what am I loving this week?’ Of course I try and diversify within the five that I put up each week but in general, that playlist you look at it in terms of a timeline and it’s kind of like a diary of my mental state (laughs). So you said you listen to it before you go on stage, do you have any other weird pre-performance rituals? Ben: Yeah, I turn my phone off about 30 minutes before I go on, I text my sister and other people that are important in my life and I do some warm ups, I listen to classical music, I lie on the floor for a bit and I do some breathing. Um, I tend to like have a shower like 20 minutes before I go on and it’s like the most amazing way to sing, you just feel so chilled. (Laughs) It's good and clean... so that's good too. Ben: Well I don’t know, that’s a hard question for me to answer. I’m not really worried about that, I’m just kind of happy doing my thing and I’m happy creating music. I never see any distinction between my personal life and my musical life, so anything that goes on in that is go into the music so I feel very calm, and I feel really blessed and grateful from this past year of touring. I’m looking forward to more, and most importantly I’m looking forward to finishing up a new album and sharing songs again. Do you have a favourite part of releasing a new album? Ben: The feeling of having it finished is a good feeling [laughs] and then seeing tour dates come in is good. Knowing that I’m going to be out and busy and doing my thing is good, but in general it’s just hoping that the music is gonna connect with people and help them in some way or even if it hurts before it helps them, as long as it moves someone then I’m all good. Have any of your fans ever told you about how your music has helped them or affected them in some way? Ben: Yeah, every night. Pretty much. Ben: Yeah it’s quite special.